Occupy STL ~ Promise meets Progress. The Occupy Saint Louis movement has received written support from the President of the Missouri AFL-CIO (The American Federation of Labor and Congress of Industrial Organizations) Mr. Hugh McVey, the St. Louis Labor Council President Robert Soutier, The Saint Louis LGBT will join the Oct 14th march and even Saint Louis Mayor Francis Slay has shown support(Kind of). Every sunday at Keiner Plaza includes a lecture from retired Washington University Economics professor Frederick Raines, which we are very proud of. Local labor unions have also brought hot coffee and donuts to Keiner Plaza in support of the movement. Donations continue to come in from Businesses and citizens alike, including a laser printer to help us print flyers. They are not slowing down, they are picking up steam! In his reply to an official statement sent by the Occupy STL team, Mayor Slay states he is sympathetic to the cause and thanks the Occupiers for raising these issues, then promptly states “Please obey the law”. But of course sir, We can always look to the shining of examples of congress and better yet, those who have congress in their pocket as a moral compass, right? Sadly no, we can’t. All sarcasm aside the Saint louis branch of the Occupy Wall Street movement is indeed true democracy at work, with a daily general assembly. The organization includes a Medical Team, a Foods and Supplies Team, Security, and a Media Team. Also recently added is a Sanitation Team to keep the Plaza clean, they do not want to disrespect city property. As critics of the Movement call them Hippies, burnouts and try to portray them as punk kids complaining about the man. This is truly not the case they stand next to Labor leaders, college professors and grandmothers. Their ranks are made up of indebted college students and middle class members of the work force with families and jobs. They include all races, religions, and nationalities. They are tech savvy, intelligent, organized and not afraid to move forward. This revolution WILL be televised, but not privatized. They will move by harmony, not their money. To join the cause head down to Keiner Plaza and ask how you can help, they will welcome you. If that’s not an option for you general donations can be made here https://www.wepay.com/donate/113766 which will be used directly for everyday supplies. 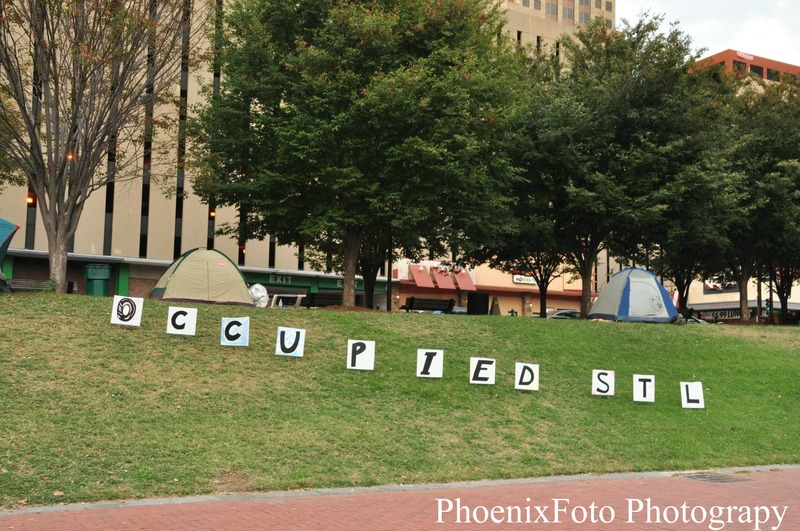 The Occupy Movements are well read, with plenty of street cred and that’s a potent mix. Like all good movement you can’t get your voices heard without making a little noise, and it goes a little somthin like this. ← Occupy San Franciso – West Coast Warriors.